Exploring the River Arts District (RAD) near downtown Asheville and Biltmore is so much fun. Meet friendly world-class artists who love to show you the process of making their amazing creations. After getting the story behind the art, you can take home the perfect souvenir and expand or begin your art collection - with something in all price ranges! Discover 200 artists in 22 buildings, creating high-quality fine art of every variety. See Melanie Robertson's inspiring art at The Village Potters. 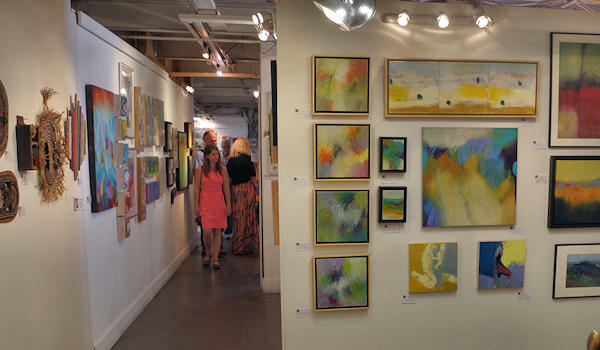 Artists are located in converted warehouses and industrial buildings along the French Broad River, just a few miles from downtown Asheville and the Biltmore Estate. Drive a little, walk a little to visit studios and galleries. 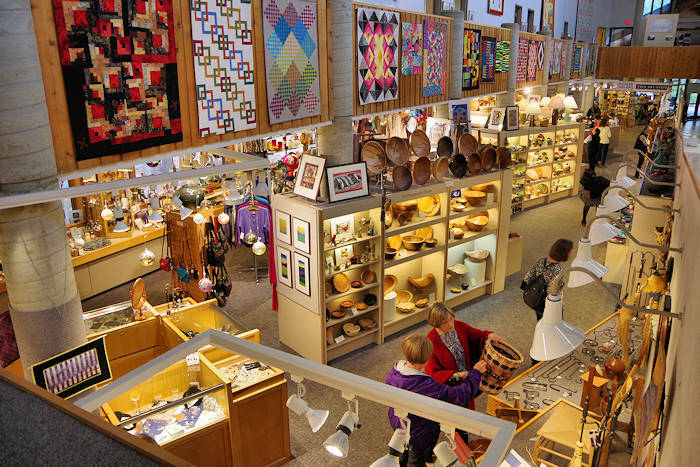 Many artists are open throughout the week (more are open on Fridays and Saturdays). Fewer studios open in January-March. At Second Saturdays & Fall Studio Stroll, most of the artists open their studios and give special presentations. 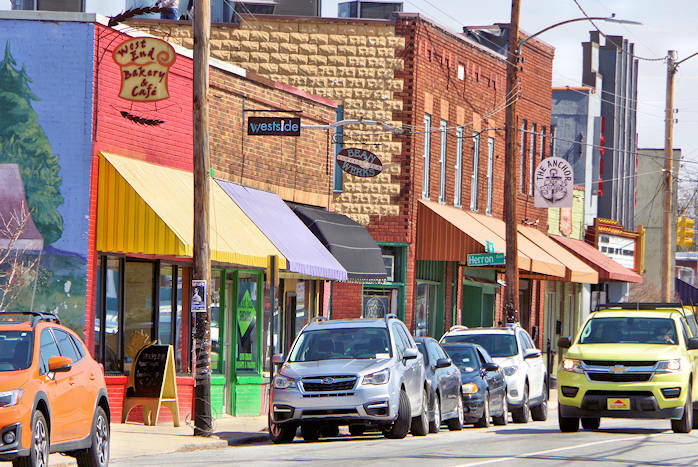 The "River Arts District" sandwich board signs are easy to spot along the small triangle of streets and avenues with road names such as Clingman, Depot, Haywood, Lyman, Riverside and Roberts. See and download a map at the bottom of this page. Find many new studios, galleries and restaurants. RAD is home to great restaurants such as White Duck Taco (388 Riverside Dr) and All Souls Pizza (175 Clingman Ave). Open for lunch on Monday-Friday, check out 12 Bones Smokehouse (5 Foundy Street) for great BBQ and down-home cooking. 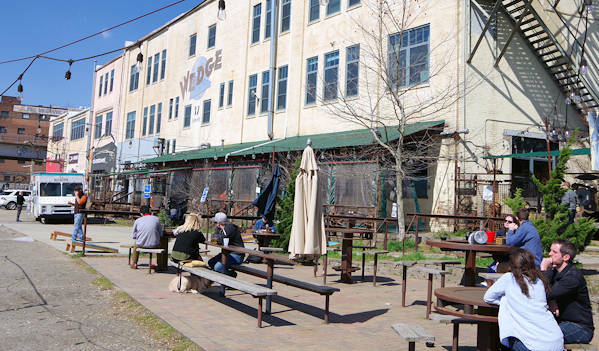 The Wedge Brewing Company, a local’s favorite hangout, has two locations in the River Arts District, 37 Paynes Way and 5 Foundy Street. New Belgium Brewery is just across the river. Daidala Ciders (122 Riverside Drive) is a nomadic cider company focusing on small batch creations, located in The Historic Cotton Mill Studios. At this must-stop studio in River Arts District (344 Depot Street, #104), watch Stephen create brilliant paintings that come to life with intense color and contrast. His fascinating “Dialuminism” process allows light to pass through layers of paint, reflecting off metal. Open Mon-Sat 10 AM-5 PM. 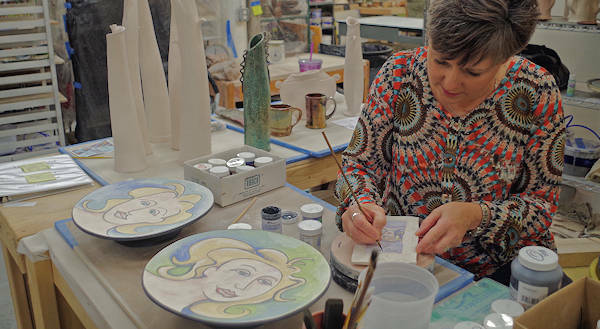 Get a behind-the-scenes look inside artist studios in the River Arts District near downtown Asheville and Biltmore. 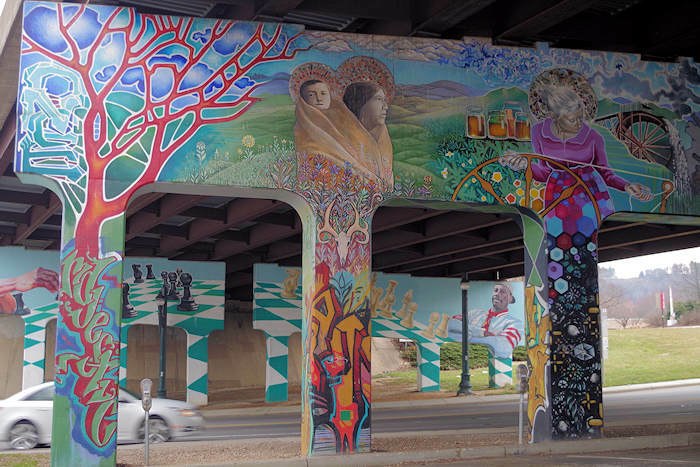 These small, intimate, artist-led walking tours last about two hours. They also offer custom, hands-on and VIP art tours. Find added events on each Second Saturday of the month - including demos, classes, openings, parties, live music and food. The biggest event of the year is the Fall Studio Stroll. Read more. Also, see more great Art Events & Festivals throughout western North Carolina. There are many GPS addresses since the RAD covers more than a mile of riverfront. 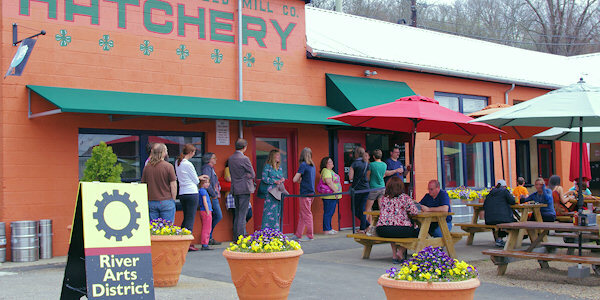 We suggest starting at Riverview Station (191 Lyman Street, Asheville), home to dozens of artists, The Village Potters and 310 Art. Or begin at St. Claire Art at 344 Depot Street. Both locations have large parking areas. Pick up a map at any of the studios to help you find your way. 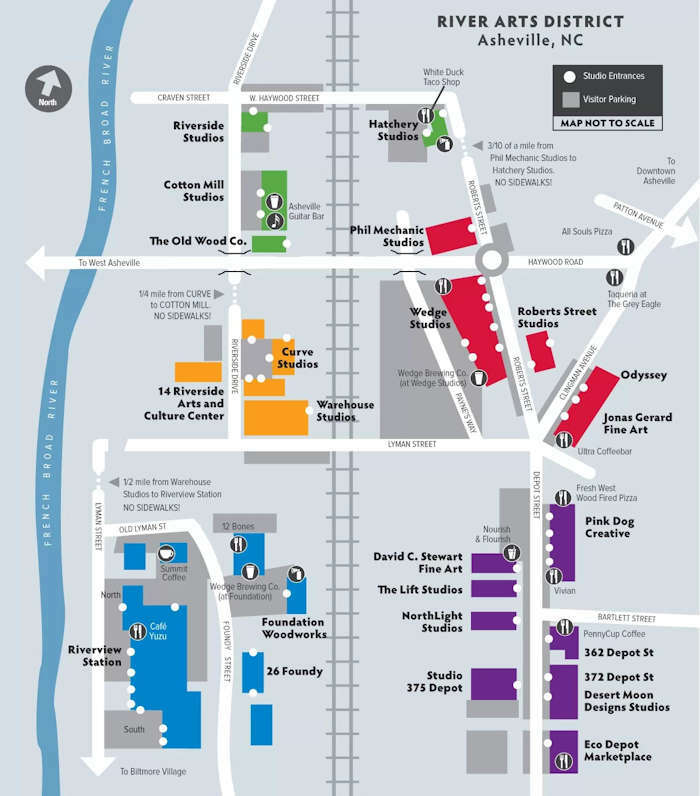 Artists are located in 25 building in a one-mile radius. It's a treasure hunt! 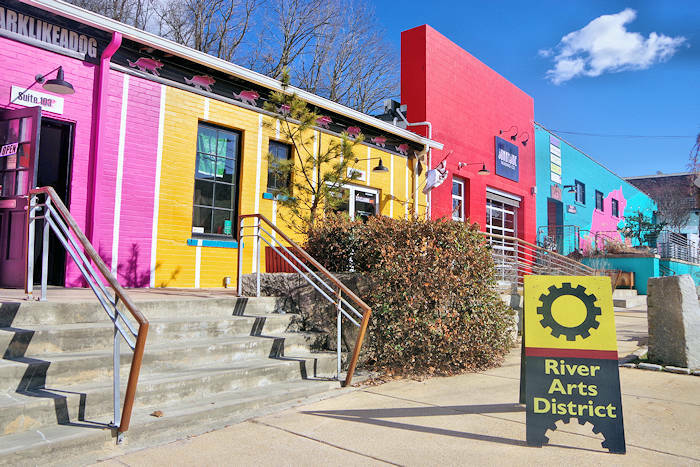 The River Arts District is just a few minutes from downtown Asheville and the Biltmore Estate entrance, so it's very convenient. Since this is a transforming industrial area (many improvements happening in 2018), many of the buildings are converted warehouses. You'll be very surprised to see the amazing art hidden inside these modest and architecturally fun buildings. You can walk to many studios, but you'll need to drive around to find all the buildings. Many streets do not have sidewalks. All parking is free but sometimes a challenge to find. Most of the studios are located in four areas (see map below). Most artists have a studio plus a gallery, so you can purchase a wide range of art after you see how it's created. The best days to visit to catch artists are Wednesday-Saturday. Some are open seven days a week (usually in the 10 AM-5 PM time range) year-round. Just look for the River Arts sandwich boards. Please touch! You'll find a huge variety of art. If you are looking for something in particular, just ask one of the artists. It's a close community and they love to refer to other artists. 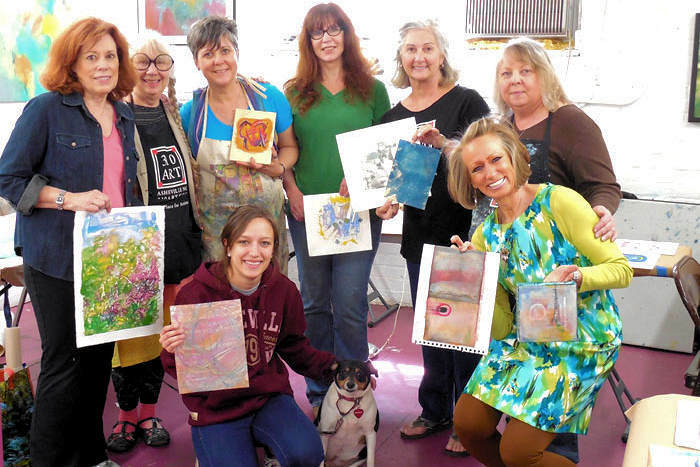 Take an art workshop or hands-on class.